Any glass design on any grouping of glass can be printed with full CMYK color and white inks on glass clear 4-Mil and 7-Mil window films. GC’s are incredibly busy and are always limited by time and cost. Because decorative window films are usually applied at the end of construction, time and cost become overwhelming. 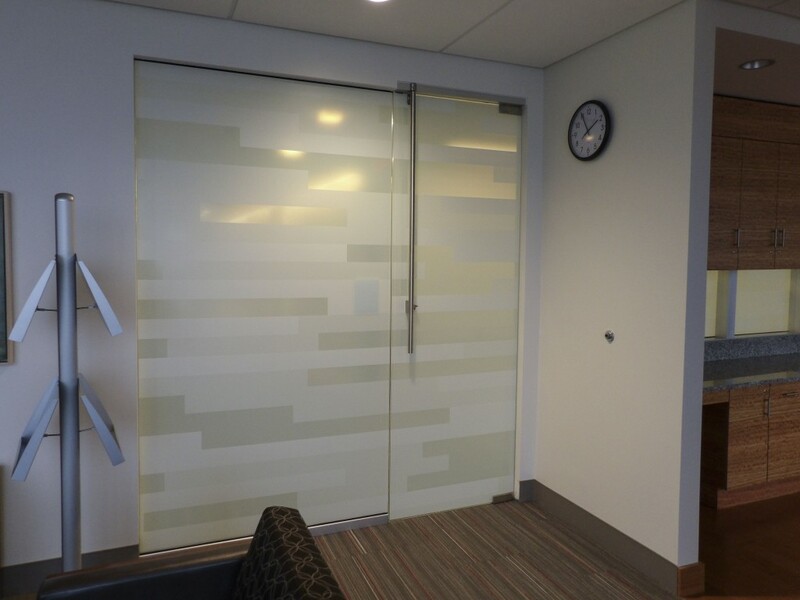 HDClear decorative window film for general contractors helps keep projects simple, beautiful and easy to install. Any imagery, pattern, design, color and translucency can be met. Architects specify designs like a 96” fade pattern or colored pattern with the same CMYK color value as the wall paint. Manufactured decorative window films often fail to meet specified needs. Window film installation companies are under pressure to intellectually respond and explain how the theoretical designs can be adjusted to job-site practical installation. The Architect wants the project to ‘meet their vision’ and the installer says ‘I can meet some of the vision… if we make this change’. Understandably architects and designers don’t want to see changes to their designs. HDClear says “Yes… we can exceed the expectation!” Understandably, some designs are altered to meet economic and time considerations but HDClear dramatically decreases this likelihood and increases the available options for the end-user to green light. Because HDClear solutions meet an un-priced design feature, GCs have an opportunity to issue a change-order. The issued change-order can now exceed a design expectation the end-user’s emotions shifts from disappointment to satisfaction. Another nice feature about HDClear is the printed process can take into account project-specific, REAL-TIME features. How many times has the glass size altered or the dimension of a wall detail unintentional migrated? Should a design spec or feature shift during the construction process, HDClear can be printed to align perfectly with any unforeseen changes. HDClear can help ease the tension of the long construction process by providing field specific solutions. Our team has a long history of supporting General Contractors and morphing a theoretical design to beautiful physical creations and the final walk through is an enjoyable experience for everyone. To be solution driven and provide and intelligent, economic answers to concerns or issues which arise towards the end of a construction project. To bridge the architect’s/designer’s expectations and window film installer’s abilities. To provide products and services during pre-planned or time sensitive stages of construction. To meet the ‘panic button’ and alleviate the pressure and concerns should a design element fail to meet design parameters. To help a busy GC (usually at the end of construction) to tie off all the hard work with a finish detail which likely has the largest visual impact during the final walkthrough.